It didn’t take long for Raphael, Archangel of Healing, to notice the visitors. Hm. The Lady Istral was indeed an honorable and noble soul. Despite their total unfamiliarity, her surroundings weren’t affecting her nearly as much as they did Kevin. It did make him wonder how she’d view the entities of this realm. After all, they were generically humanoid, rather like a compromise between all the species she knows, neither fur nor feathers nor scales. Just – by her standards – utterly generic beings of light. Would she be seeing this as – by her standards – a sort of “generic good guy” world? And what did that say about human spirits? Come to think of it, did they even have a concept of the darkness as an independent power of evil in Ciarkian? Their world was awfully… Darwinian. Notions of philosophical good and evil held little power there. Perhaps the desire for a simpler role was, in some ways, a bit limiting – but it was also very characteristic of the animal-people notion, since they were often perceived as more primal and with a lot of very stereotypical behaviors. The magical basis of their society might be a symptom of the same thing; a simpler way of life than the human one. Meanwhile, a tail began to reform from the stump, and nearly approached full growth before turning necrotic and falling off. (Raphael) “Note what happened, the form was fine, but the spirit was unable to maintain the outward expression of power. This suggests that the spirit has been damaged in some fashion. Now, if we switch our focus to the spiritual level…. Suddenly the world around them went dark, and the people in the class turned to a translucent blue or green color. Marty shone with a golden yellow color, Raphael shone with a brilliant white light that was both blinding and pleasing to the eyes at the same. Kevin showed as a blue ghost with black clouds of swirling murkiness and ominous red glowing lights beneath the black clouds shifting across his form – albeit with occasional, lightning-like flashes, of light. Kevin and Marty promptly started private speculation on the meaning of the various colors – even if some of them were clear enough. White for the Light, black and red for the Darkness and for dominance and lower instincts, blue was perhaps logic, green was probably related to life. Kevin didn’t see why he couldn’t be as pretty as the others though! Darkness could be pretty! The night sky was! Marty was thinking about yellow… Chaos perhaps? The Lady Istral glowed a violet color, save for the stump of her tail, which ended in a black cloud with bluish lightning arcing off silently from the stump. 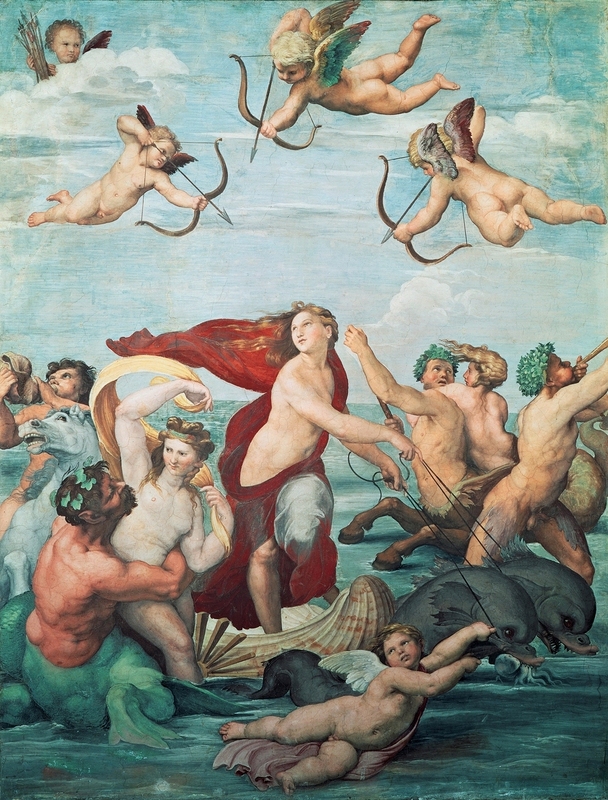 (Raphael) “First note the violet coloration of her spirit. It is easy to tell that this one is a mage and a psion of considerable power. Now, if the injury was merely a physical one we would see the rest of the tail shine forth like the rest except maybe as a dimmer light. Note the fact that the tail abruptly ends in this swirling black mist of dark energies. The fact that this has not spread beyond the wound indicates the spirit is fighting the infection. Another sign of this is the violet discharges around the wound itself. What does this tell us about the nature of the wound and why her tail refuses to regenerate? Perhaps a necromantic spiritual corruption? And for the spirit to regenerate into that area would be to allow it to infest the rest of her? Oh well! Pure guesswork there, and simply trying to jump ahead of the lecture for amusement; it wasn’t like either of them was a masterhealer! (Raphael) “To some extent yes, but some decisions need to be conscious of the consequences for them to have consequences. Such is the nature of innocence. Don’t worry, it will come in due time, and sooner than I expect you think. (Kevin, to Marty on the way out) “And off to see Menthas!. Now… A new flaming sword? (Kevin) “I hope this doesn’t turn out to be one of those “A thousand years is as a day!” deals! That would be bloody awkward to explain back in Cyrweld! “Oh, we took your city hero away for a bit of the afternoon and left her in a distant dimensions! She should be back in a thousand years!”. They’d get lynched! Kevin had to frown at that. That just didn’t seem likely to work, and he wasn’t much for lies anyway. Benjamin raised his hand, and there was another flash of light. Suddenly they found themselves at the entrance to a Classical style open air building. The landscape was a rugged hilly terrain with a pleasant climate and dotted with trees and picturesque “ancient ruins”. An aqueduct could be seen in the distance, and a small fountain that seemed to glow without giving off light was off to one side. A number of reclined chairs were scattered about the building, many of hem occupied by resting angels and people. The air was filled with enough light to make Kevin felt slightly sickened, but it was otherwise unimpairing.. They could see Menthas playing a game against a human on a board set between their two chairs. By the time they got there, Kevin and Marty had pulled in half a dozen different presents from elsewhere, including a new flaming sword, a video game system, a couple of get well soon cards, a fruit basket, a magic shield, a very large Kadian gift certificate, several bottles of fine wine, and a selection of other bits and pieces, both magical and mundane. Even if angels didn’t need presents, they could appreciate the thought! Menthas looked up from her game to them. Unfortunately, due to external circumstances, this session had to be cut short at this point.